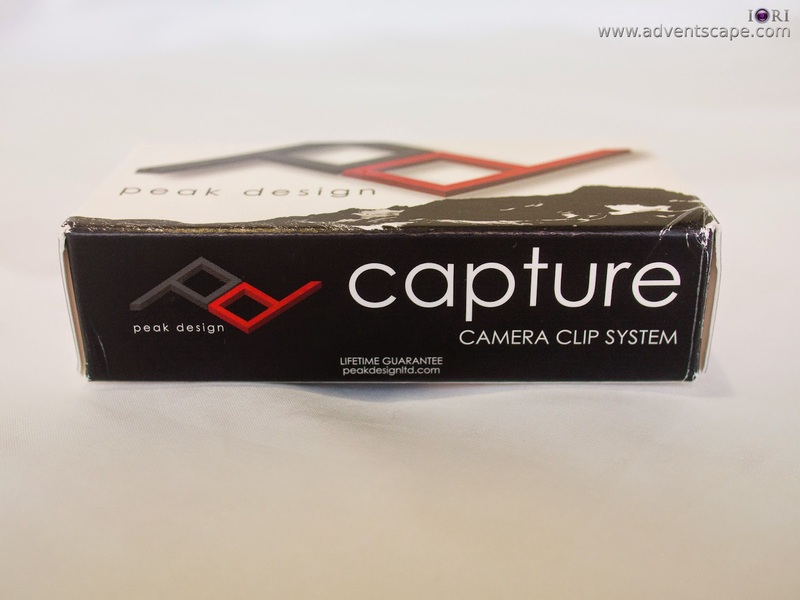 This is an outdate review since there is a new Version 2 of Capture Camera Clip System. Still, I'd like to express my satisfaction of the product by posting this review. I'll create another review for the new version once I used it extensively. The first time I saw it I knew I have to get one, or two (depending on how many camera bodies I'll be using simultaneously). I like the idea that it clips and when it clips it stays in place. I wasn't a fan of the camera strap. I bought several camera bodies already and I did not use the camera strap (except for my first camera body, Nikon D80). I ended up with two (2) Capture Systems and I like them. It comes in a small package enough to fit the whole assembly. 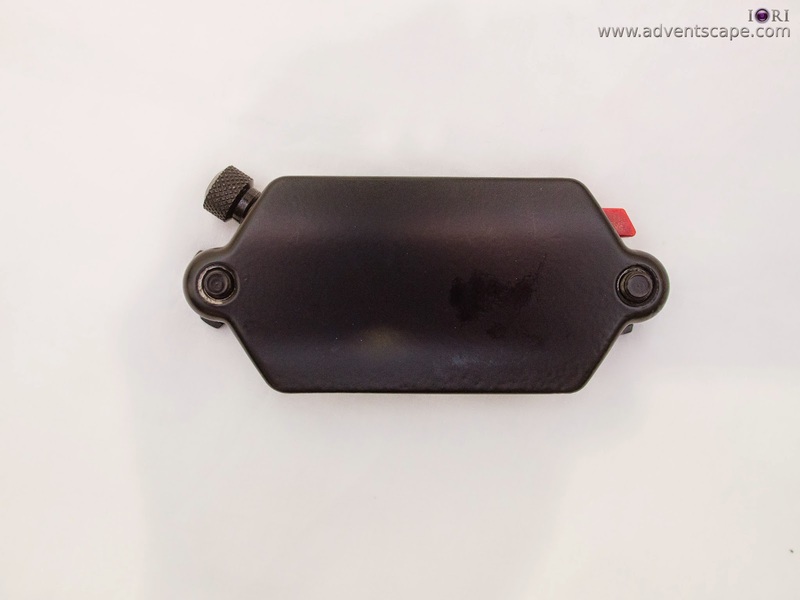 It comes with a pouch, the Capture clip mount and the Capture quick release plate. This item feels solid. I don't see any signs that this will bend or be bended by human force. You really need to exert effort if you want to bend this product (or machine it!). If you feel the finishings of the Capture Clip mount, it feels smooth. 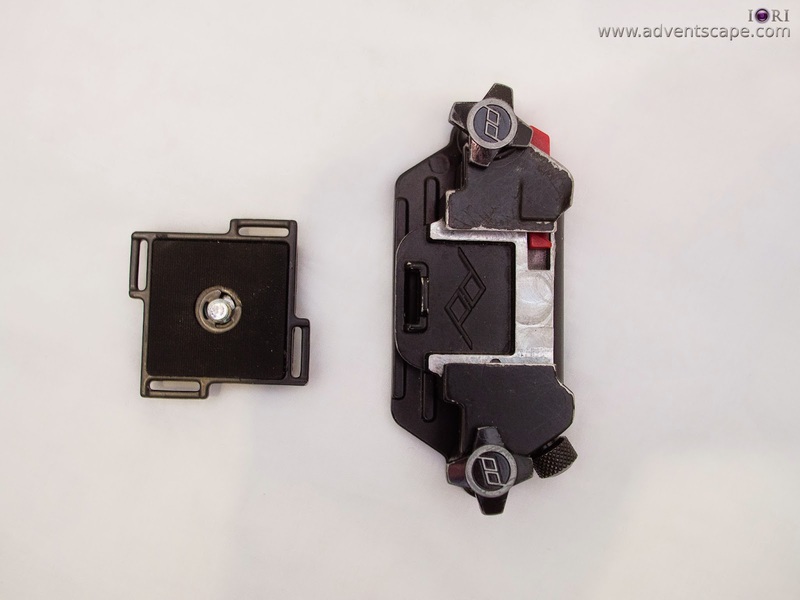 The only red color is the button that releases the quick release plate (and your camera) from the Capture mount. You'll immediately notice the big screw knob that tightens the Capture mount to any type of strap. The screw looks long though. There is also another screw at the opposite side of the red button. This is a screw lock which is a redundant mechanism to lock the quick release plate in place. The quick release plate feels solid. It is arca swiss type. So you can use it to any tripod head that supports arca swiss. 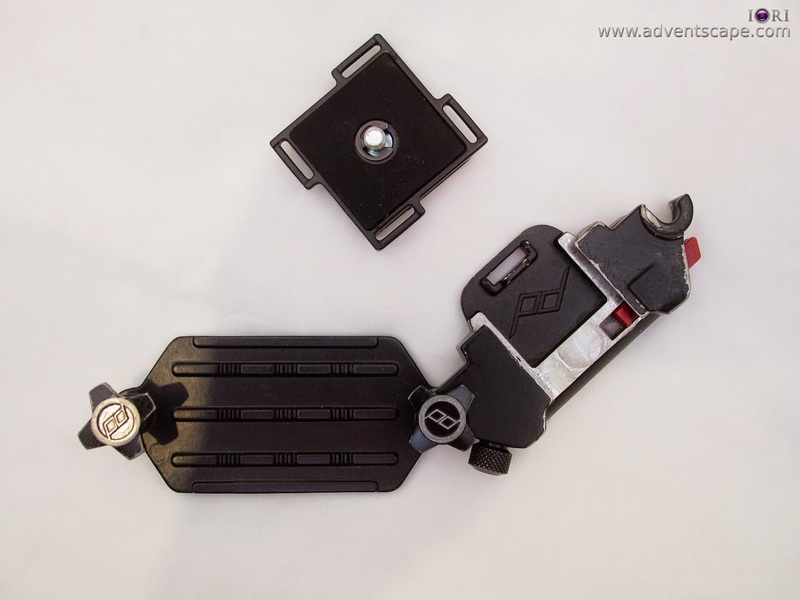 Holds your camera without swaying - Capture Camera Clip System delivers. 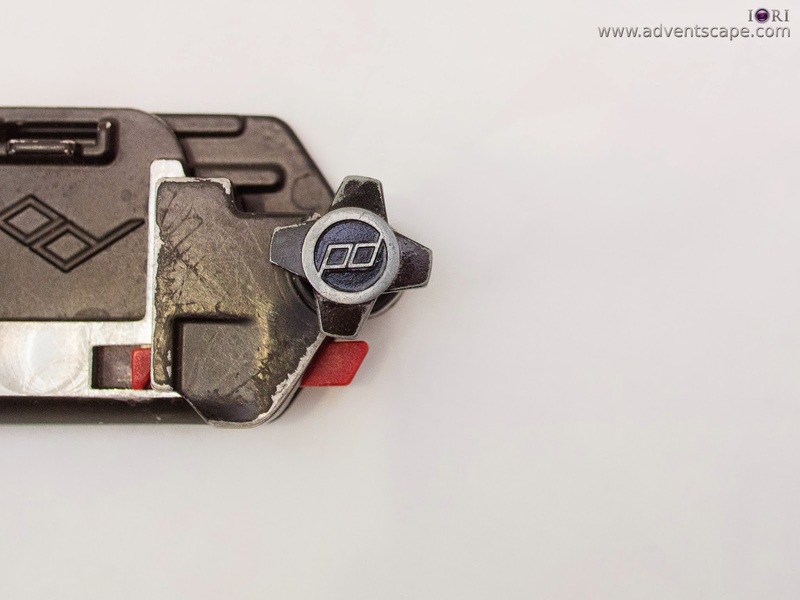 It advertises that it can attach your camera to it's mount without moving and yes, it doesn't move. I use Capture on my dSLR with wide angle lens (16-35) and telephoto (70-200) and it can hold it in place without moving. You need to have a stable strap though. Your belt might not be tight enough to prevent movement. This is what I want rather than a strap where you put it over your neck and goes dangling when you walk or move. I think this is the only camera holder wherein you secure the camera and it won't move. I use Capture Clip System in conjunction with Think Tank Steroid Belt. This way, the strap is secured while the belt attaches to my waist comfortably. Mount + Plate is Rigid - There are many questions over the net, particularly during it's initial release, if it could really hold the camera securely on its mount. The answer is true, it can hold it securely without worry. 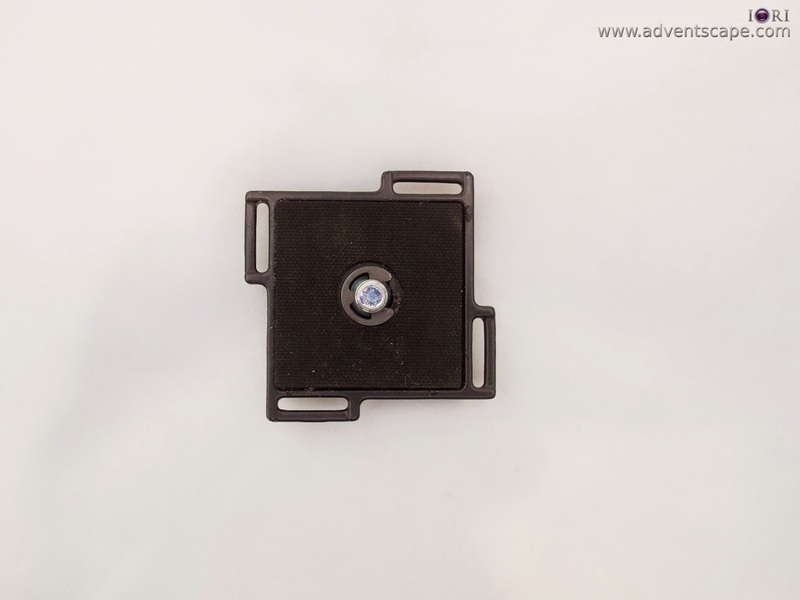 Once you snap the quick release plate on the mount, there is no releasing of the camera. I used Capture with a D700 + 70-200mm VR1 lens in weddings and it holds it's place. If you attach Capture on a strap securely, it won't move. Just remember to inspect the screws, tighten it if it loosens. Lock Redundancy - if you slide the camera in place, you'll hear a 'tick' sound indicating that the camera is locked securely. To release, you press the red button and slide the camera out of the mount. Some might be paranoid about the 'tick' so Capture provided another locking mechanism in a form of a screw. If you screw it tightly the quick release plate will not release even if you press the red button. System Integration - Capture comes in 2 parts: the Mount and the Quick Release Plate. The mount is built to secure in any type of strap. The screw is long enough to fasten in any type of belt or strap. I saw people attaching the mount on a strap of their backpack. I prefer to attach this on my Think Tank Steroid belt so that it holds secure. The quick release plate is amazing. It integrates with so many other systems aside from Capture. The plate is arca swiss. Thus if you already have an arca swiss ballhead or panhead, this plate will integrate nicely. The screw that holds the plate to the camera can be tightened by coin. Thus if the quick release plate loosens, it's easy to tighten it at the field. There is a screw hole beneath the plate. This screw hole is used to integrate shoulder straps with the quick release plate. Thus if you use Black Rapid strap (RS-4 etc) you can easily screw it for a quick system integration. Lastly there are strap holes at the side of the plate. If you use a wrist strap, you can use these strap holes to integrate it. 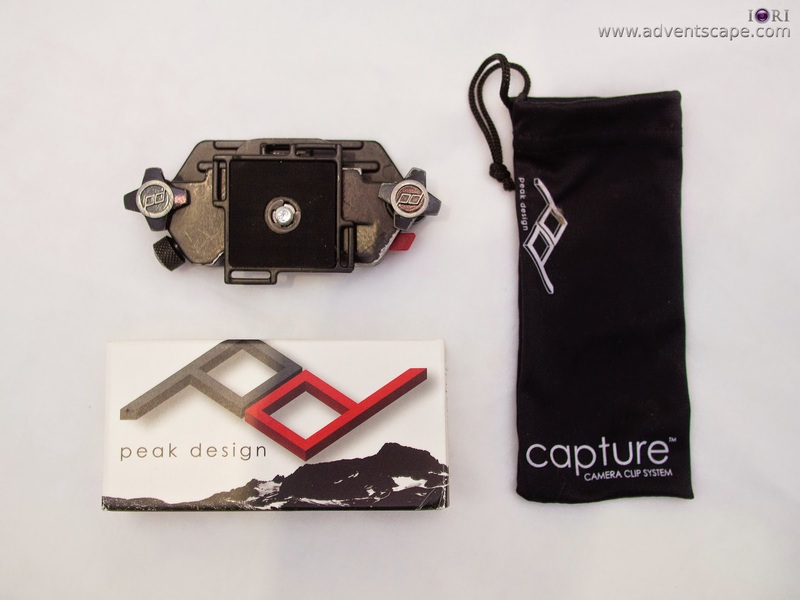 In my opinion, Peak Design's Capture Clip System is the first camera accessory / holder that can integrate into most other systems. I love this piece of engineering! Very Durable Tool - This is very rigid. I bumped it, scratched it, hit it, pressed it, dripped it in rain, splashed salt water, poured tomato sauce and all those nasty stuff yet it relentlessly functions as new. For all practical camera bodies and lenses attached, this won't bend or yield to weight or force. This is built to last. Over Exposed - Since your camera is outside, it is exposed to bumps, chimps, scratches, pierce, slash, crash etc. Any strong force that connects with your camera could potentially leave a mark. It happens to me all the time that whenever my camera bumps, I immediately inspect it for marks. But I'm usually wary of my surroundings and try to evaluate potential hazards. There are times that I cover my camera with my hands or swing it to the side to avoid harm's way. I do seascape and I go where the water is. My feet to knees are always wet. A sudden swell can potentially wet my camera with seawater. This is pretty bad if I'm not observant. Rain is also the main enemy. Since your camera is exposed, it will get wet. You can put your camera inside the camera bag, but it defeats the purpose of the Capture. When your camera is outside, many people will see it. So if your camera is an attention grabber and you don't want this attention, Capture Camera Clip system isn't the best for this. The Sharp On The Edges - are the linings at the opening of the Capture Camera Clip System. 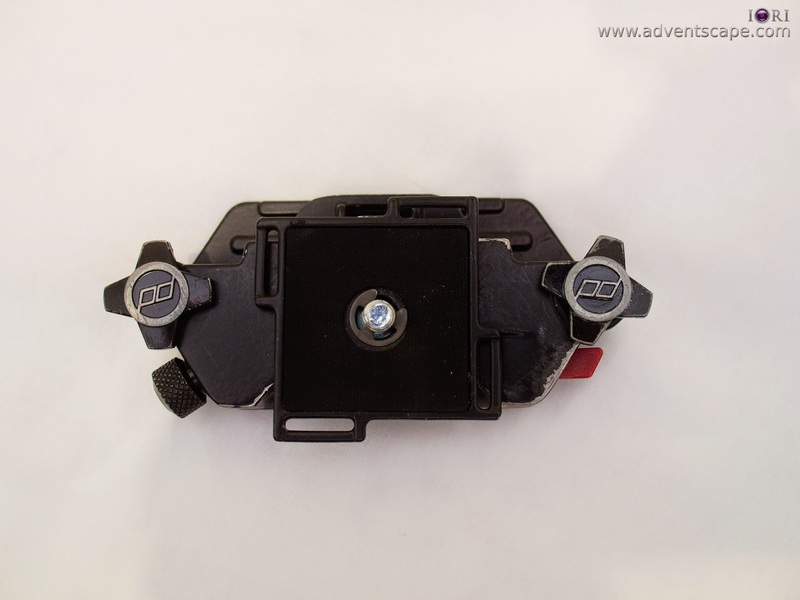 This is where the quick release plate slides in to secure your camera to the system. When the camera is secured in Capture (or is in your belt), there's no problem. But if your camera is detached/unmounted, there is a tendency that you arms (especially if the mount is at the side of your hip) might get scratched. I got scratched by these edges several times. I think Capture should have these edges smooth out to prevent this. Loose Screw - The screws tend to loosen quickly in varying degrees. There are ways to counteract it and most of it is observance. The first screw lock is located at the quick release plate. I find this screw to loose a lot. I find this troublesome as this screw lock secures the quick release plate to the camera. 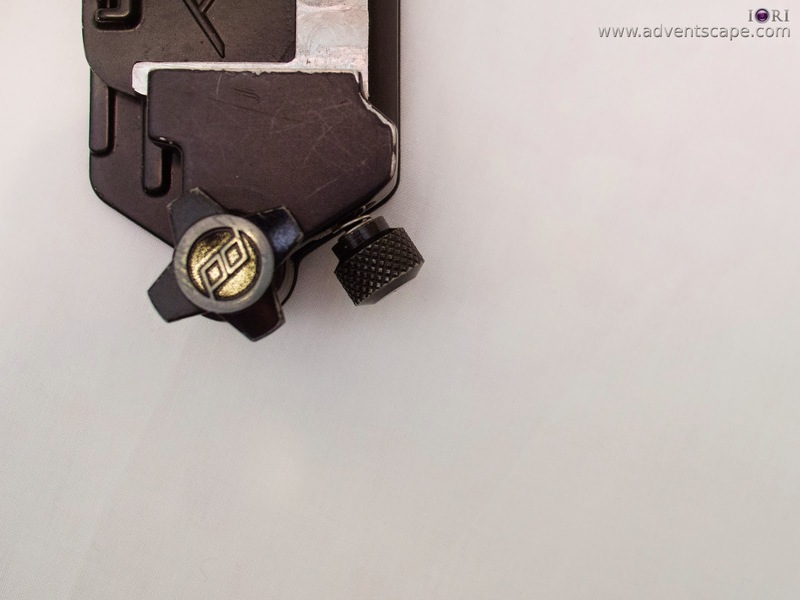 The quick release plate secures the camera to both the tripod and the Camera Clip mount. If this is loose, your camera has the potential to swing on your tripod or on your Capture mount. If you're unlucky you might not notice it's loose and your camera could fall, lens down (ouch!). This can be tightened by coin. But I suggest to buy a dedicated screwdriver to lock this tightly in place. Use the coin only for emergencies or when you forgot your screwdriver. Another screw lock is at the Capture Camera Clip mount. This screw lock is a redundant measure to secure the camera to the mount. But this screw lock, when loosed too much, can get lost. It has a spring with it, so the spring will get lost as well. This screw doesn't loose a lot like the quick release plate screw, so you're alright. Even if you loose this screw, this is just a redundant locking mechanism. You can still use the Capture system without it. Be observant with your Capture Mount. Tighten this screw if it's like falling. I lost this screw once. I emailed Peak Design and happily sent me a replacement. That's great service!! The last screw is the screw that tightens the whole mount to the belt. This screw doesn't loose often as the others. But it still looses it grip. Just make sure to tighten this screw before going to shoot. You can feel this loosen when you try to insert the camera in. Loose Rubber - The quick release plate has a rubber on top that touches the bottom of the camera when they are tightened together. This black rubber looses a lot especially if you did a tight screw. I used several adhesives to 'paste' this rubber to the quick release plate. Capture Camera Clip System is an amazing design. I love how it works and it works for me. You can try one before buying to see if this system fits your style of shooting. The price is affordable, even with Version 2, and can be attached to many kinds of straps. For me, it's an effective product as I still use it until now. 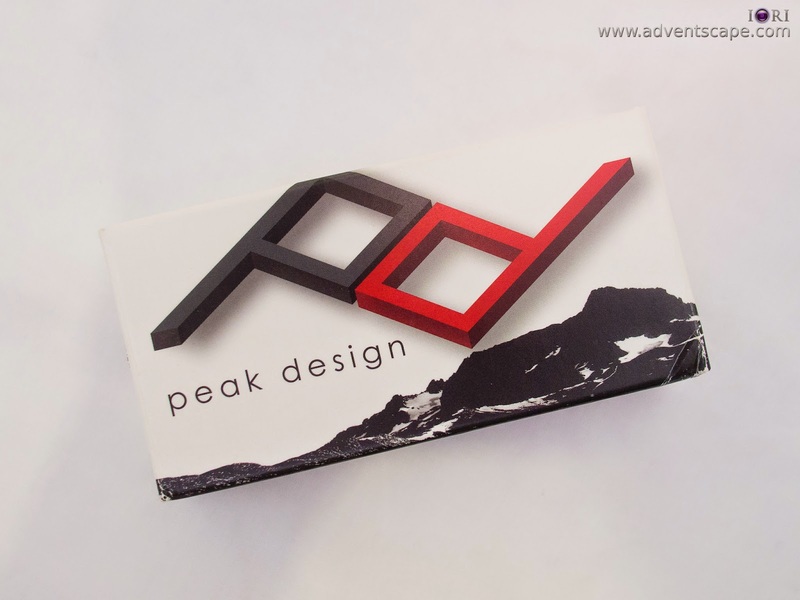 Peak design is upgrading their product and innovating new accessories. Thus it's good to use a product with this kind of company.